The Red Sox made another "depth" move today by signing pitcher William Cuevas to a minor-league deal (with an invitation to Spring Training). 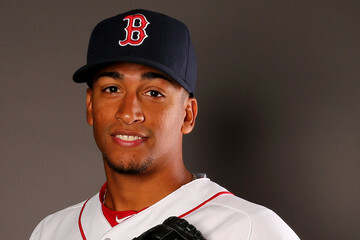 The 27-year-old Cuevas came up in the Boston organization, but has more recently spent time in the Detroit and Miami organizations. Last season, Cuevas pitched just one-third of an inning for the Tigers—spending the bulk of the year at two different AAA franchises (Toledo and New Orleans). The right-hander can either start or relieve.